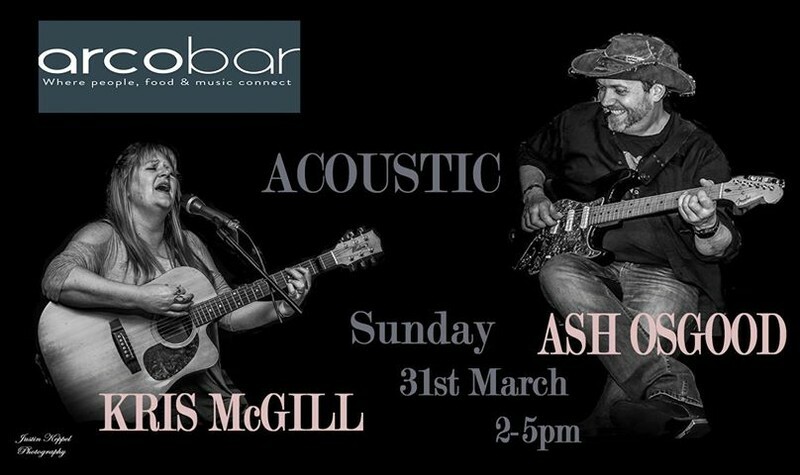 This Sunday session Kris McGill & Ash Osgood will be joining us at Arcobar. Kris McGill is a regular favourite on Friday and Sunday nights playing her own renditions of some of your favourites. Joining her will be Ash Osgood and we are incredibly excited for this duo to have us dancing all afternoon long. Lunch is served from 11 am and we have music through the afternoon (also serving lunch till late). For bookings, contact us on 9551 1424 or email us at info@arcobar.com.au.